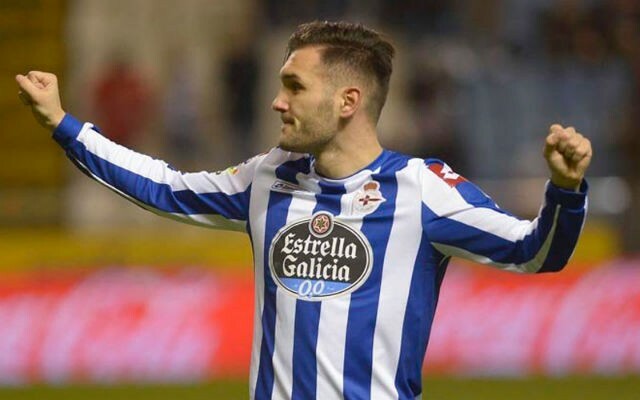 Arsenal are on the verge of selling Lucas Perez to West Ham in a deal which could see them make a massive loss on the player they bought two years ago. The Spanish striker moved to the Emirates in 2016 from Deportivo La Coruna in a deal worth £17 million, as per Metro Sport, but he has since struggled to break into the first team at the club, making just 11 appearances in his first year. He returned to Deportivo in Spain on loan last season and featured 35 times, but still struggled to find the back of the net regularly, scoring just 5 goals. The 29-year-old has returned to Arsenal for pre-season duty this summer but it now looks increasingly likely he will leave the club before the transfer deadline on Thursday, as he currently sits well behind the likes of Pierre-Emerick Aubameyang and Alexandre Lacazette in the pecking order. According to Metro Sport, West Ham United are close to securing the strikers signature for £5 million, on a 3-year deal. Should this transfer be completed over the next couple of days, the Gunners would be posting a loss of £12 million on their initial investment, which means Perez will surely be remembered as one of the clubs worst buys in recent history. However, Arsenal’s loss could be West Ham’s gain if the veteran forward can rediscover his best form, as he showed his natural goalscoring ability during his first spell with Deportivo. New Hammers boss Manuel Pellegrini has already brought in several new faces this summer including Issa Diop, Andriy Yarmolenko and Felipe Anderson. Adding Perez to that list should excite supporters further ahead of the new Premier League season.